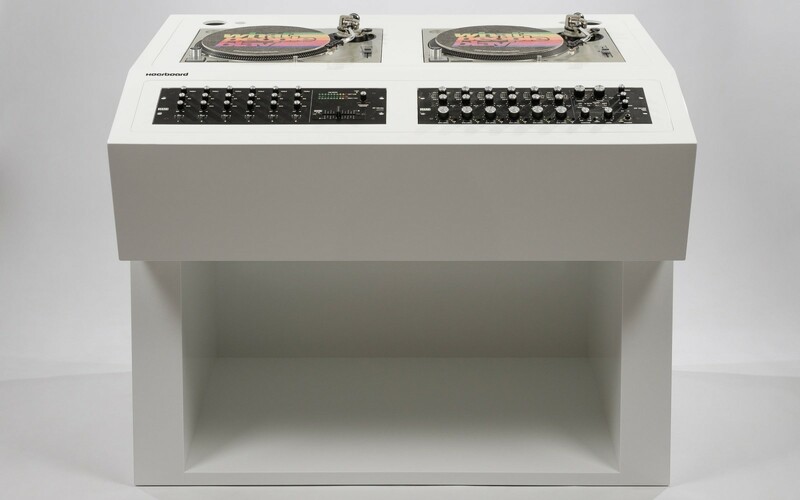 Presenting the turntable and CDJ options to be picked from Pioneer, Technics, Pioneer, Vestax and Stanton, the custom-made workstations offer mixers from Allen & Heath, Ecler, Denon, Numark, Behringer, Pioneer and Rane, while you can request their particular options. If you have any special requirements for your DJ device housing please request your particular options. Your Hoerboard is packed up in a robust massive transport case. We ship your DJ table with our shipping freight partners UPS, Schenker and Cargo Partners. The shipping fright forwarder only delivers your Hoerboard free to curbside. Please make sure someone will be there to carry your DJ furniture into the house/flat when the delivery arrives. The Hoerboard including the transport box weigh between 45kg – 160kg. In addition, you should also have a T20 Bit (Torx) screwdriver available to open and disassemble the transport case. Please be careful when disassembling the box to prevent any damage on your delivery. We also recommend to keep the transport box in case your Hoerboard was damaged through shipping. Please note that non-EU countries may charge import duties, taxes and customs broker fees that you may have to pay previous to the delivery. Prices and paying prices quoted on the internet include VAT. Orders delivered to non-EU countries will be VAT-free. The method of payment is advance payment. When paying in advance purchasers will receive an invoice which must be paid by bank transfer stating the customer number and invoice number. We will ask for a deposit payment of 20% of the total sum of your invoice. The production time of your customized Hoerboard takes approximately 20-25 working days. The shipping to your address needs 1-3 days within Germany, 2-5 days in Europe and approx. 25 days to North and South America, Asia, Australia, New Zealand and South Africa. Our furniture are not water proof and salty-air proof. These are for indoor use only.